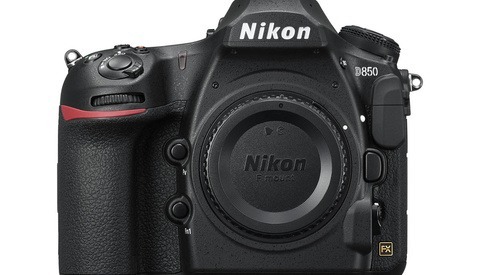 Video of NIkon D850: Best Wildlife Camera EVER? When it comes to wildlife photography, high megapixel cameras aren't normally the first kind of cameras that most people tend to think of. 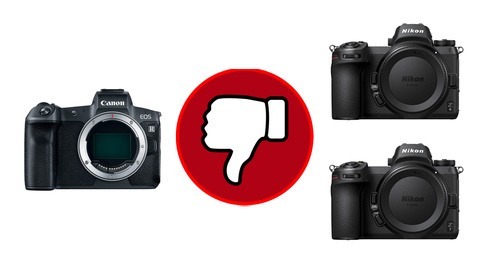 Cameras such as the Canon 1DX Mark II, the Nikon D5, and the Sony a9 come to mind, due to their incredible burst rates, rugged build quality, and amazing autofocus systems. Tony Northrup, an avid wildlife photographer, believes the Nikon D850 to be the best camera for wildlife photography. In his latest video, Northrup describes in detail why he believes this to be true and based on the information he presents, it's difficult to argue against his points. Having a fast and accurate autofocus system is vital for wildlife photography, your subject may not only be moving quickly but the movement may not be easy to predict. 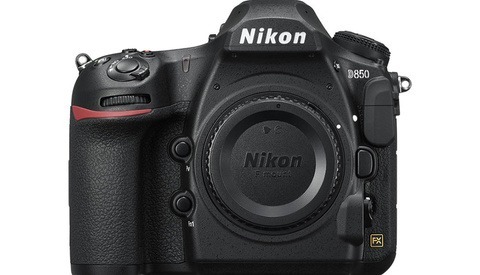 Northrup describes the autofocus system in the D850 as "astounding" as it seems Nikon may have improved the autofocus system even beyond that of the Nikon D500 and D5. The extra megapixels are extremely useful for cropping and with wildlife photography, the trick is to try and get as close to your subject as possible. The DX mode in this cameras has been done really well, the viewfinder gets cropped in and the focus points cover the majority of the cropped section. This allows for much better and effective composition with less time needed in post. Compared to the Canon 5DS R, the D850 is much faster and once combined with the grip it can shoot almost as fast as the D500. This makes the D850 a really well balanced high megapixel fast camera. The dynamic range as demonstrated in his previous video is significantly better than the 5DS R making the files far more flexible to recover detail in dark eyes and shadowed areas. Lastly, the buffer is very respectable when shooting full sized raw files, however, switching over to JPEG extends its ability to shoot all the way up to 200 images. All in all this camera is becoming more and more impressive with every new review and really starting to look like the best camera ever made. I enjoy Tony's reviews, but pardon me if I feel like the person who decrees a camera to be the best at something, is a photographer who is also the best at that thing. A camera is not a vision, but a tool. New cameras do not help you actualize your vision, photography has been great for many years, cameras and film and lenses were great, have been great, and continue to improve. Don't fall for the marketing, get a nice bit of kit you can afford and shoot, shoot, shoot in good light. Every kind of tool has a variety of models, whether it's cordless drills, Rubik's cubes or cameras. It is possible to assess the models of the respective tools, and where the features of one particular model is outstanding, declare that one the best for a particular application. The cordless drill with the longest battery life, most power and highest reliability may be declared "best drill for building back porches". The smoothest and most forgiving Rubik's cube may be declared "best cube for speed cubing". Someone doesn't have to be the most acclaimed builder or the world record holding speed cuber to recognise the outstanding feature sets of the respective kinds of tools. Being competent and experienced is sufficient qualification to make the judgement. Same with cameras. And here we have amply qualified and experienced photographers who have assessed a camera and declared it "best for wildlife photography" because of its feature set compared to the other cameras. I say that's fair enough. Very good craftsmen will tell you that the best tool is nice, but not a requirement, because their skill is what matters most. They demonstrate that there is generally less to the idea, "best tool" than those selling it claim, once you are in the category "very good" and above. Conversely, they do not, within reason, blame their tools for lack of success. They preempt tool limits with experience and skill, so the notion of "best" becomes moot. The salient measure is "game changer" not best. You are right, fundamentally. But Northrup is very careful to not overstate the value of gear even if it is technically the best in some way. While celebrating a strength he adds proper caveats. Here we have a review of a review (why not just link to the vid), and Northrup's subtlety gets lost in the rehash. In short Northrup surely agrees with you. On the other hand BH Photo doesn't sell vision, or editorial judgement.